Happy Saturday! How is your weekend going so far? Mine consists of pajamas, ARC reading, iced tea, and a big blanket. 😉 I was eating lunch (my mom’s leftover mostaccioli…delicious) and thinking of what I could put on my blog today, when I remembered these Raw Brownie Bites I made last week! I can’t believe I haven’t shared them yet. The reason I decided on making these is because, sometimes a girl’s gotta have her chocolate. (That’s not me excluding guys who like chocolate, mind you. We all get those cravings sometimes.) Now, I’ve been trying to stick to a healthier lifestyle (new years resolutions and all that fun stuff) so I thought I could make something raw and healthy for my chocolate craving. To be honest, I much prefer these Raw Fudge Brownies because they have frosting and I am ALL ABOUT that chocolate ganache. But these were quick, fun, and really cute! So if you have major chocolate cravings like me and want to just reach in the fridge for a quick bite, this is the recipe for you! Yummy and healthy – these bites are raw, gluten-free, vegan, and grain-free. 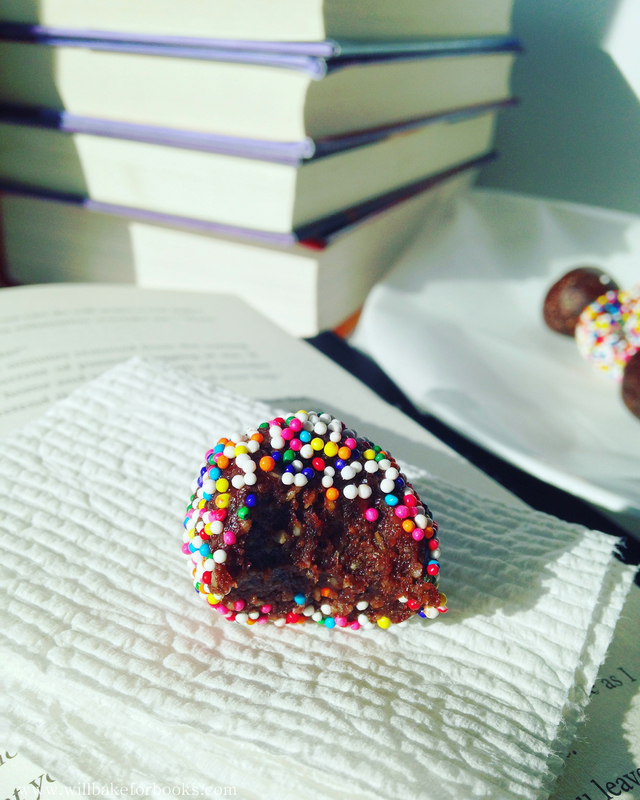 If you skip the sprinkles (which I highly recommend you don’t *wink*) they would also be refined sugar-free. Anywho, hope you enjoy! A simple and healthy recipe for when you get those chocolate cravings! Transfer dough to a plate or bowl, cover with plastic wrap, and refrigerate for at least 2 hours. When chilled, roll into balls. 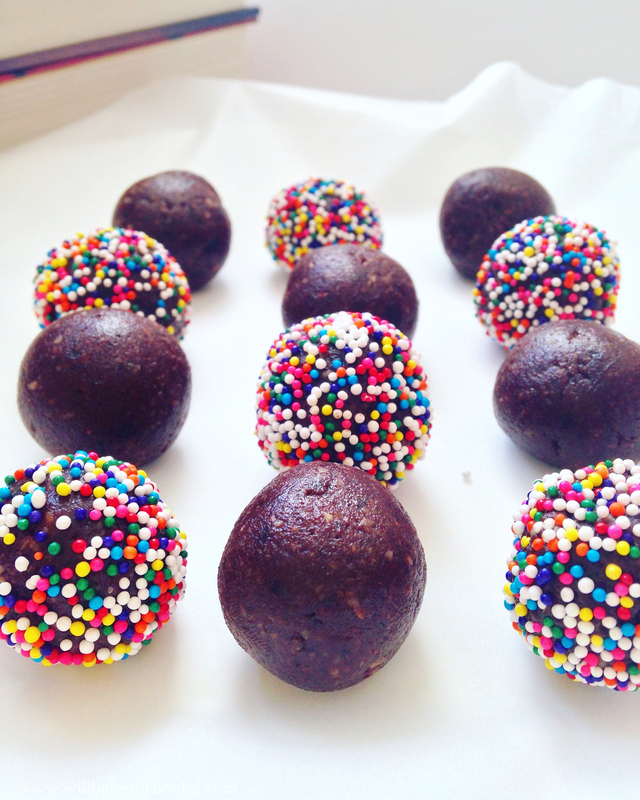 If you want, roll balls into sprinkles. Store bites in the refrigerator. Keep for up to a month in the fridge, or will keep longer in freezer if preferred. Enjoy! Recipe adapted from Averie Cooks "Healthy Fudgy Brownie Bites." These look SOOOO yummy! I think I’m going to make some this week. OMG these are so lethal for me. I absolutely love brownies. Just the chocolate taste and the chewy texture, just the sound when you bite into one of them!